Looking to pull a couple of pranks today? Fool your family and friends with food pranks for some April Fool's Day fun. There are so many crazy food pranks that I had a hard time choosing my favorites, so my favorites reflect pranks that fall into two categories, sweet and crazy. Well, without further senseless chatter, here are my personal favorite April Fool's Day food pranks. 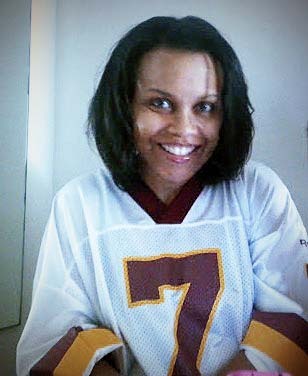 Maybe I can pull a couple off this evening. Enjoy! This pound cake with buttercream frosting looks like real grilled cheese! 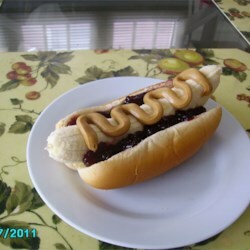 Banana Dogs by All Recipes. Although I like peanut butter and banana. This one just doesn't sit very well with me. I can't wrap my mind around the banana dog, just seems to weird. Cereal Treat Sushi by Sugarcraft. I love this prank. It looks so easy, and maybe even appealing. Fruit sushi rolls make an excellent April Fool's Day food prank! Fried Chicken Cake Pops by Haniela. This one has to be my favorite. These look like chicken, and I want a bite! I think I want to try this one on my husband! 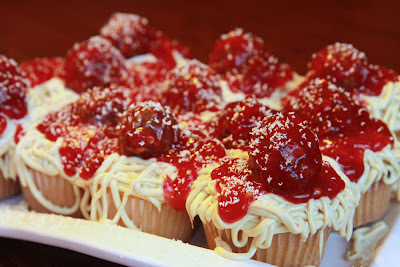 Spaghetti and Meatballs Cupcakes by Delectable Edibles. I saw these little guys in a cupcake cookbook awhile back. They are extremely sweet, but they're such a great prank! The meatballs are Ferrero Rochet! Pull these pranks on your friends for some tasty April Fool's Day fun!